India's biggest solar plant project and also the largest such entity worldwide- the 5000 MW Dholera Solar Park- had received a nod from the state government earlier this year. The dream project is a soaring step towards fulfilling Prime Minster Modi"s vision to produce 175 Gigawatt of electricity through renewable energy by 2022. 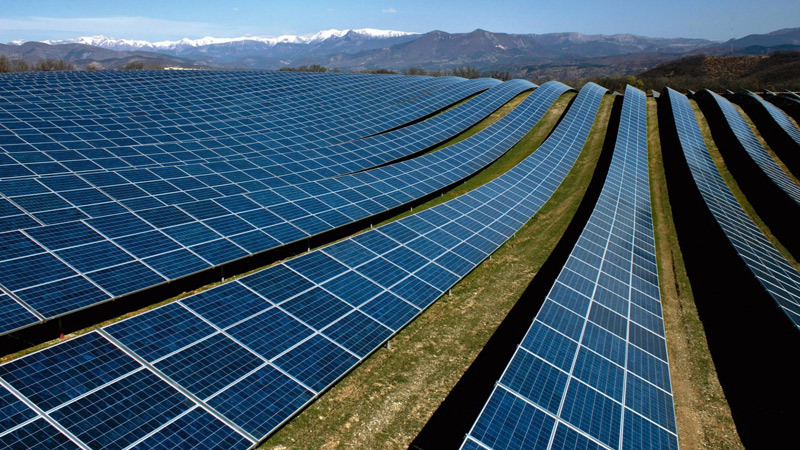 11000 hectares of waste land owned by Gujarat State Government has been identified for development of the solar plant. The land is located in Gulf of Khambhat region in Dholera Special Investment Region and is a CRZ type 1(B) land. Such land can be used to plant mangrove trees or for generation of renewable energy. Thus, approvals for environmental clearance will be no hassles. Dholera solar plant is a capital intensive project and would need an investment of Rs. 25,000 Crores during several phases of its development. The project has been planned on a Public-Private Partnership model and will raise funds from investors in a systematic manner. The responsibility for development of the project has been handed over to Gujarat Urja Vikas Nigam Ltd (GUVNL). Other authorities like Gujarat Power Corporation Ltd (GPCL), Gujarat Electric Transmission Corporation (GETCO), Solar Energy Corporation of India (SECI) and Central Transmission Unit (CTU) have been appointed for rightful implementation of the project. The solar plant shall be developed in many phases with the first phase, comprising of 1000MW power generation capacity, expected to roll out within two years. Expression of Interest from project developers for building the first phase has been invited and developers shall be selected through a process of competitive bidding which shall be followed by reverse e-auction. Dholera solar park is expected to reach its maximum power generation capacity within five years from now. The land selected for development of Dholera Solar plant is cheap and barren and is owned by Gujarat State government. The project would thus put the land to its best possible use. This would also mean that no investments shall be required to purchase land from private owners and will save a fortune and bring down the cost of project. This shall make solar energy generation more viable for the developers. As both load and generation are placed within the same region, transmission costs in DSIR will be at a lower end compared to any other solar power facility. The solar plant is an attractive opportunity for manufacturing units and its complete supply chain, thereby making the zone an industrial hub. As many as 20,000 fresh jobs shall be created through this project and directly contribute to the state economy. The cons include salinity issues in the region and corrosive nature of the air thereby leading to more maintenance cost, regular cleaning of solar panels and higher investment in foundation work. A technical study is in progress to evaluate its impact. For more on Dholera Solar plant and its progress, keep checking this section.